Marshall Govindan Satchidananda has practiced Babaji's Kriya Yoga intensively since 1969. He studied and practiced Kriya Yoga in India for five years with Yogi S.A.A. Ramaiah. He also assisted him in the establishment of 23 yoga centers around the world during an 18 year period. During this period he practiced Kriya Yoga for eight hours per day on average, and as a result attained Self-realization. While in India he studied the Tamil language and the works of the Tamil Yoga Siddhas. In 1980 he assisted in the collection and publication of the complete writings of Siddhar Boganathar. In 1986 he administered the construction of a rehabilitation hospital dedicated to Yoga therapy and physical therapy in Tamil Nadu, India. In 1988 he was asked by Babaji Nagaraj, the founder of Kriya Yoga to begin teaching. This followed the completion of certain rigorous requirements to initiate others in the 144 Kriyas given to him by Yogi Ramaiah five years earlier. In 1991, he wrote the best selling book, "Babaji and the 18 Siddha Kriya Yoga Tradition", now published in 13 languages. In 1992 he established Babaji's Kriya Yoga Ashram in St. Etienne de Bolton, Quebec. Classes, seminars and retreats are offered there year round. In 1995, he retired from his work as the chief systems auditor for Quebec's largest employer, the cooperative Mouvement Desjardins to devote himself full time to teaching and publishing in the field of Yoga. Since then, he has travelled extensively throughout the world guiding about 50 Kriya Yoga study groups in over 20 countries, and an ashram and publiishing office in Bangalore, India, and a lay order of teachers of Kriya Yoga: Babaji's Kriya Yoga Order of Acharyas, a non-profit educational charity, incorporated in the USA, Canada and India. He has authored and published over fifteen books on the subject of Yoga, His book, the “Kriya Yoga Sutras of Patanjali and the Siddhas,” has been critically acclaimed, and for the first time demonstrates the close connections between Classical Yoga and the Siddhars. Since 1989 he has personally initiated over 10,000 persons in Babaji's Kriya Yoga in a series of intensive sessions and retreats. In October 1999 he was blessed with the darshan of Babaji Nagaraj near his ashram in Badrinath, Himalayas. He is currently co-directing a team of scholars in a large scale research project encompassing the whole of the literature related to the Yoga of the Tamil Siddhars. He is a graduate of Georgetown University School of Foreign Service and George Washington University in Washington, D.C. He is married to Durga Ahlund. Durga Ahlund Govindan has been practicing and studying Yoga since 1967. She has shared her experience of yoga as a teacher of Hatha Yoga, Kundalini Yoga, Raja Yoga and Kriya Yoga and as a therapist since 1984. She co-authored, performed, and produced with Marshall Govindan, the Yoga video, "Babaji's Kriya HathaYoga, Self-realization through Action with Awareness." Rohini has practiced Kriya Yoga intensely since 1997, under the guidance and direction of M. Govindan, disciple of Babaji and author of the book babaji and the 18 Siddha Kriya Yoga Tradition. After fullfilling certain rigorous conditions over several years, Rohini was inducted into Babaji's Kriya Yoga Order of Acharyas in Bangalore, India. She is now authorized to conduct first level initiations into Babaji's Kriya Yoga in Australia and abroad. She began her study of Yoga in the 1990's with Patabhis Jois, in Mysore and has raised a daughter through college graduation, managed a boutique and taught high school students. She gives weekly classes at her home in Daylesford, Australia, and teaches Kriya Yoga in seminars all over Australia and abroad. Shanti Ananda was born in Guatemala City, Central America. She earned her Masters in Counseling Psychology from ASU, and has worked in the prevention and intervention field for the last 15 years. She has been studying Yoga since 1970, and was first initiated into Babaji's Kriya Yoga in 1991. In July, 2001 she became a member of Babaji's Kriya Yoga Order of Acharyas. Shanti is now authorized to initiate others into the first level of Babaji's Kriya Yoga. She conducts regular satsang gatherings in her hometown of Tempe, Arizona. In July, 2001, after several years of rigourous training, Shantiananda was authorized to become an Acharya in Babaji's Kriya Yoga Order of Acharyas. She now teaches the first level initiation seminar of Babaji's Kriya Yoga in the Southwest as well as in Spanish speaking countries. Arjuna Really I do not know what to write, my past is of no real importance, and who I am is not what I've done or I'm doing. I'm an actor in a perfect drama, I do not know what tomorrow reserves me in the role play, but it doesn't really matter. I'm the wick, remember? Complete surrender to the Lord helps to bring the wax to the flame and burn to the light, that is what I feel here and now. So, I'm not the candle or the flame, I'm not the light either, but only the means for the Divine to let Himself being experienced. What experiences in the representation of my actual life are more significant? I do not know, and probably they are so only if read in the context of past and future lives, but there is no past or future either, only space and through that space we are desperately seeking for truth, not our limited sensorial truth, but that which has no words, only a deep total experience of bliss. We can say I'm an ordinary person, born in Italy, with a love for horseback riding, living in Italy with a stressful job in an investment bank, with an expertise in NLP (neuro-linguistic programming) and hypnosis, I daily experiment all emotions everyone does, I can feel frustration, sadness, happiness, sexuality and so on. I know how to laugh and how to cry, how to get angry and how to forgive, but moreover I never am any of these emotions, I simply can experiment and enjoy these variations like diving in the sea and playing with the waves.This is what I can say. Nityananda (Nacho Albalat) is a native of Valencia, on the east coast of Spain. He was initiated into Babaji's Kriya Yoga in 1997, learned the advanced Kriyas in 1998 and 1999, and since then has practiced them faithfully. He has also actively collaborated in the diffusion of Babaji's Kriya Yoga throughout Spain by organizing seminars and translating publications. He has translated into Spanish the books "Kriya Yoga Sutras of Patanjali and the Siddhas", "The Voice of Babaji: The Trilogy on Kriya Yoga", and the Kriya Yoga Journals since the beginning, and several initiation seminars. He was also responsible for translating and recording the video course "Babaji's Kriya Hatha Yoga: Self-realization through Action with Awareness". He has a University degree in journalism and he has worked for several local media organizations, promoting subjects related to personal growth and spirituality in the community. He is happily married to his wife Aurora, who is also a distinguished journalist, and has one daughter. As an acharya, his major aspiration is: "to transmit the best possible way the teachings and techniques of Babaji's Kriya Yoga." Through it, any person can manifest his potential and improve not only one's own life, but that of everyone around. 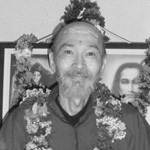 Nagalakshimi (Sharanadevi) of Sao Paulo, Brazil, became an Acharya in 2003. Born in 1961, she recounts how she first met Babaji in a dream, in 1993. At that time she had no knowledge of Yoga or of Babaji. Babaji told her that he was her Guru. After this dream she began looking for information about Babaji, and found Yoganandaji's "Autobiography of a Yogi." She followed Yogananda's lessons from the SRF, for five years, and then met M. Govindan Satchidananda, who initiated her into the 144 Kriyas of Babaji's Kriya Yoga from 1998 to 2000, in Brazil and Canada. She has practiced these diligently and faithfully since then. She also completed the requirements for the Kriya Hatha Yoga Teacher Training program and gives several classes to the public every week since 2001. Sharana Devi works as a body mind therapist since 1993. She was certified by Stanilaus Grof in Holotropic Breathwork in 1996 and uses it to facilitate the growth of those who are in spiritual emergencies or emotional problems. Married with three children, she states that "the practice of Babaji's Kriya Yoga has completely transformed my life and the people around me." Saraswati Karuna Devi of Sao Paulo Brazil. Born in 1948, in Egypt, of British nationality, she moved with her parents to Brazil when she was twelve. She became a seeker of God and a practioner of a Yoga as a teenager. During her first visit to India in 1981, she recognized the presence and guidance of Babaji in her life. In 1996 she was initiated by M. Govindan Satchidananda into Babaji's Kriya Yoga in Canada, and received the second and third level initiations in 1997 and 1998. Since that time she has not stopped practicing it, and began sharing it with others while completing the Teacher Training requirements for Kriya Hatha Yoga in 2001. She teaches several classes per week in Kriya Hatha Yoga. Trained as a Jungian psychologist, she became a student of Stanislaus Grof in the 1970's, and since then has worked intensively in private practice as a transpersonal psychologist, using his Holotropic Breathwork and related techniques. She is knowledgeable in numerous spiritual traditions and practices. अगस्त २००५ जर्मनी में आयोजित एक समारोह में सत्यानंद बाबाजी क्रिया योग के आदेश में शामिल किये गये थे. क्यूबेक आश्रम और जर्मनी में वह कई वर्षों तक बाबाजी क्रिया योग के अभ्यास और गहन अध्ययन के साथ कर्म योग और एक अनुवादक के रूप में बाबाजी क्रिया योग की सेवा के लिए समर्पित थे. .
सत्यानंद, जो एक नैदानिक मनोविज्ञानी के रूप में प्रशिक्षित किये गए थे. उन्होंने जर्मनी में विभिन्न निगम की सेटिंग में एक मनोदैहिक चिकित्सक के रूप में और एक औद्योगिक मनोवैगीक के रूप में काम किया था. लेकिन, १९९७ से उनकी आध्यात्मिक गतिविधियां और आकांक्षाओं का अतिक्रमण जीसने जीवन में अधिभावी निर्देश किया. इस समय के दौरान उन्होंने दुनिया के आध्यात्मिक ज्ञान, पूर्वी मनोविज्ञान, वेदांत और योग का अध्ययन कीया और भारत में कई निजी तीर्थ यात्रायें की. वर्तमान में, मुख्यतः जर्मन भाषी देशों में क्रिया योग शिविरों में दीक्षा देने के अलावा, सत्यानंदजी दीक्षितों को मनोवैज्ञानिक और आध्यात्मिक परामर्श देते हैं. और व्यक्तिगत रूप में (या उनके मित्रों के व्यक्तिगत अनुरोध पर) व्यक्तिगत मामलों पर भी परामर्श प्रदान करते है जैसे: व्यक्तिगत क्षमता और उसकी संभावना और एक योग जीवन शैली के नए आयाम को विकसित करना या साझेदारीकरना. आध्यात्मिक प्रश्नों के साथ ताल मेल, तीव्र संघर्ष या पुराने तनाव प्रबंधन, आध्यात्मिक मनोचिकित्सा के लिए तैयार करना, या मनोदैहिक ऊर्जा के लक्षण, और शारीरिक - मानसिक स्वास्थ्य की दिशा में प्रसंस्करण के लिए तैयार करना. Vyasa first became interested in Yoga as a university student in Toronto, where he learned hatha yoga and meditation. As he matured, Vyasa fulfilled his life as a spouse, father and in a successful real estate career. As mid-life approached, he was moved to look for a way to continue his growth and self-awareness with all that is entailed in modern life as a householder. Gradually he made changes that led him to retire from his career and earn an independent living, to devote his time to charity hospice work and to maintain a practice of Kriya Yoga. Vyasa has been initiated into Babaji's Kriya Yoga and, as an acharya, welcomes all those who are sincere in learning the scientific art of God-Truth union. Ishvarananda (Ingvar Villido) became an acharya of Babaji's Kriya Yoga in May 2007, during a cermony attended by over 100 persons of the intentional community, Lilleoru, near Tallin, Estonia, which he founded fifteen years earlier. He is the spiritual director of this community and has for many years taught couses in developing awareness and higher consciousness. He has practiced and taught Yoga for more than 20 years. He has received initiations from several lamas and yogis from Tibetan buddhist traditions. Shri Muniraj, disciple of Herakhan Baba, has authorized him to conduct havan (yagya) fire ceremonies. These are conducted regularly at the Lilleroru community temple and yagna peetam. He has made several pilgrimages to India, both north and south. 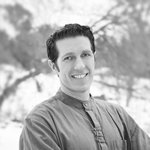 He is a skilled herbalist, community leader, and teacher of spiritual arts and sciences. Ishvarananda was the managing director of a private company for several years. In his youth he served in the Soviet army for several years. He is now constructing an Eco Village with fourteen homes and a community center, following plans approved with a grant from the European Community. He is married, and the father of three children. Nandi Devar is an Acharya of Babaji’s Kriya Yoga since 2007. He lives in Switzerland and teaches meditation and awareness in many countries. He dedicated himself more then thirty years ago to the path of realizing the real Self. Since childhood he started to look for other dimensions of life, and found answers in Buddhist, Shamanic and Sufi teachings. But the aspiration for an intense personal transformation guided him to Babaji’s Kriya Yoga, where he experienced the knowledge and power he was seeking. To dedicate himself fully he spent two and a half years in a Kriya Yoga Ashram in Estonia called Lilleoru to concentrate completely on the practice of Kriya Yoga as described in the Yoga Sutras of Patanjali, including tapas (intense practice), svadhaya (Self study) and ishvarapranidhana (surrender to the highest). What he experienced during this time exceeded his expectations. He awakened to his real eternal Self, the real “I”, which has no questions and no answers. This profound experience is the basis for his humorous and direct manner of imparting knowledge about Self realization. He also conducts intense sadhana retreats, offers personal coaching and a two year practice training in his Soul & Yoga Academy called “Soul Light”. Premananda (Joseba Imanol Idoyaga) of Bilbao, Spain was born and raised in a devoted Christian family, and educated in the values of love and forgiveness. As a young man, he practiced the spiritual exercises prescribed by the St.Ignatius of Loyola. He aspired to dedicate his life to a religious order, until he married and had two children. He is a graduate in psychopedagogy (the study of psychological education) and computer engineering. He worked for ten years as a computer analyst and later as a teacher in public schools. More recently he became a teacher trainer and lecturer in education centers. He became an initiate of Tibetan Buddhism and made a pilgrimage to the Himalayas before beginning his initiation and training in Babaji´s Kriya Yoga in 2000. Since completing the teacher training course in Kriya Hatha Yoga, in 2003, he has organized many Kriya Yoga classes, seminars and satsangs in the Basque country. His main motivation is to serve, and now to do so through Babaji´s Kriya Yoga. Kriya Yoga has been a great support to him during difficult periods, even removing from him the notion of being "difficult." Valmiki (Mikel Agirreazkuenaga) is a long time student of languages. He is currently a professor of linguistics in the University of theBasque region in Spain. Since 1998 he has worked with the Foundation "Life and Languages" based upon thework of Dr. M.M. 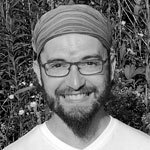 Sanchez Carrion, to sustain language cultures- Since beginning his training in Babaji´s Kriya Yoga in 2000, he has come to appreciate it as "language of transformation and service." He has attended many seminars in Babaji´s Kriya Yoga and a Kriya Yoga pilgrimage to India. He has been sharing his knowledge and love for Babaji´s Kriya Yoga in the Basque region of Spain for several years since completing his training as a teacher of Babaji´s Kriya Hatha Yoga. He is married and has one daughter. Mirabai (Lourdes Planas Calvo) She began to practice Yoga in 2002 and was later initiated into Babaji's Kriya Yoga. This was an important turning point in her. Since then she has participated in several initiations at the second and third levels, and has completed her certification in Babaji`s Kriya Hatha Yoga Teacher Training program. She has also made three Kriya Yoga pilgrimages to India, two in the South and one in the Himalayas. She completed her graduate degree in Nursing during the 1970`s. 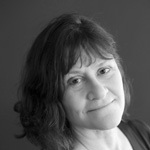 She is also a physiotherapist since 1984 and received a degree in Social and Cultural Antropology in 2003. Now she is studying for a Masters degree in naturopathy. She has worked as nurse in hospitals and in outpatient departments. From 1977 to 1981 she worked in health services for children under the age of five in Sierra Leona, Western Africa. Professionally, she has introduced yogic techniques to deal with stress for groups of people that suffer from anxiety, depression and other psychosomatic problems. She is married and mother of three children. Savitri (Maria Rosa Blasco) She was initiated in 2001, and since then she has practiced with enthusiasm the techniques of Babaji's Kriya Yoga, and has participated several times in second and third level seminars, in the Hatha Teacher Training and in pilgrimages to India. She studied Medicine and works as family doctor in Public Assistance, combining it with the practice of Homeopathy. She teaches seminars to deal with the stress and writes articles for national magazines about health and self-help. As an Acharya she thinks that the practice of Babaji`s Kriya Yoga can improve the lives of many people, and for her it's a privilege and an honor to be able to share the teachings with others. She lives and works in Girona, near Alicante, 100 km south of Barcelona. Nagaraj (Otsuki Norihiko) was born and raised in Sendai, north-eastern part of Japan. He was initiated into Babaji's Kriya Yoga in 2000, learned the advanced Kriyas in 2001 and 2002. In 2003, he completed the teacher training course in Kriya Hatha Yoga in Quebec and taught Kriya Hatha Yoga in Japan for some years. He returned to the Quebec Ashram in 2008 for 6 months to do tapas for 8 to 12 hours per day and to translate the Grace Course into Japanese. Since he was a child, Nagaraj has asked the questions why we are here, living on this planet Earth and what are we here to do? He feels Babaji’s Kriya Yoga answered his questions and that everybody should attend Initiation seminars in Babaji’s Kriya Yoga, as it is a means to living a true and wide life. Nagaraj is a wonderful teacher and we are very pleased that he will be teaching Babaji’s Kriya Yoga in Japan. Nagaraj graduated from a university in Tokyo majoring social psychology and worked as a teacher for many years. He worked at a private school tutoring children with physical, mental or emotional challenges and also counseling their parents. Siddhananda (Sita) Born in Brazil in a family of spiritual seekers, I grew up in the spirit of Yoga, mystical Christianity and the precious teachings of Tibet. Through my explorations of the world and human nature as well as through my studying of sacred literature during long sea voyages, pilgrimages and retreats, I learned to recognize the universal presence of an essence which animates and unites all of us. I have been a teacher, a translator and a builder and organizer of several different enterprises. I have raised my five children in love and by example. Since my decisive encounter with Babaji’s Kriya Yoga, I have participated in several pilgrimages to India and completed its teacher training program. Since then I have taught Kriya Hatha Yoga. I also offer a complimentary therapy based upon sound and DNA programming. Turyananda (Thierry Morfin) Born in 1964 in Valence, in the Rhone Alps of France. I am married with three children, three beautiful daughters. Since 1989 I have lived in the France’s Overseas Department Reunion Island which is in the middle of the Indian Ocean, 800 km east of the big island of Madagascar, and 200 km east of the better known island of Mauritius. In Reunion I work as the Director of a company whose headquarters is in in Grenoble, France, and which specializes in construction projects underwater and on cliffs and other inaccessible places. I discovered Hatha Yoga in 1992 and I was initiated into Babaji’s Kriya Yoga in 1998 during a visit by M. G. Satchidananda to Reunion Island. The following year I received there the second initiation. The year after that, in 2000, I participated in the Kriya Yoga Pilgrimage to south India. This was a revelation for me, as I was able to discover in the deepest part of my being the ability to surrender, thanks to the devotional experiences I had in India. Never before had I been transported by such a long lasting joy. From the age of 13, when I developed a passion for climbing cliffs and exploring subterranean caverns, I had found moments of joy when attaining a goal, but nothing which lasted. So at the age of 36 I have found my path. Today, I am astonished by the impact of the words I speak may have on others, due to the grace of Babaji and the Siddhas. In this path which Babaji has charted for me, by allowing me to share his message, I have the feeling that it is His thoughts which are projected outwards. It is as if, in a certain manner, this permits the discovery of his Words as they are continuously given birth and thus to unveil the mystery for others. The teachings of Babaji and the Siddhas abides as an overruling necessity in this world where lost, sprawling humanity must find its way home to that which Is, that which we truly are, with the help of wise shepherds, if not smugglers. Ganga Auer has a teaching degree from Hungary, and she began her spiritual journey when she moved to Canada in 1990. Ganga has practiced Yoga intensively since 1995. She started to teach Hatha yoga in 1998 and since then has taught it for thousands of hours. After searching for Truth for many years, in March 2000, when she attended the first initiation in Babaji’s Kriya Yoga in Toronto, Babaji answered her call. She also found her spiritual family. Since then she has sincerely practised the 144 kriyas. Ganga participated in the first Kriya Hatha Yoga Teacher Training with Durga Ahlund in 2001. She is also certified as a teacher of Kundalini Yoga, and in Hatha Yoga by the Esther Myers Yoga Studio, Toronto, Canada. In November 2004, Ganga opened her studio, the Yoga Room, in Barrie, near Toronto, Canada. She has a great passion for teaching yoga. Her goal is to continue to help others to have happier and healthier lives by expanding their Yoga practice from the mat or cushion into everyday situations. She loves to learn and share her knowledge with others. May the loving grace of Babaji guide us on our path towards Self-realization. Amman first learned about Babaji as a teenager and was initiated into kriya yoga in 1970 by Yogacharya J. Oliver Black, a lay minister of SRF and direct disciple of Paramahansa Yogananda. Amman has worked in northern and western Canada as a community youth worker, forest ranger and environmental protection officer. He currently works in the field of geographic information systems with the Ministry of Environment in Saskatchewan. In the mid 1980’s Amman lived with Yogacharya Black at his yoga retreat in northern Michigan. In 2006 Amman rediscovered Babaji and has since gained greater insight into yoga through Babaji’s Kriya Yoga. Amman has taught hatha yoga at the yoga center in n. Michigan, in a corrections facility in Saskatchewan and continues to teach from his home. Kailash I once was a Post Master in Frauenfeld, Switzerland. It seems like a lifetime ago, but my Yoga career began only in the year 2000, when to my absolute surprise I began to see myself teaching Yoga in reoccurring dreams and visions. Those visions started me on my yogic path. I began a daily practice of Yoga and two years later I began to teach. I practiced and taught various systems of Yoga over the next few years. In 2006, I learned of Babaji from the book, Babaji and the 18 Siddha Kriya Yoga Tradition, written by Marshall Govindan (Satchidananda). In 2007, in Zurich, I attended the Initiation from Satchidananda, and then later the 2nd and the 3rd initiations. Over the next several years I completed the Kriya Hatha Yoga Teacher Training and took two pilgrimages to India. Babaji’s Kriya Yoga became my constant companion. No other system had so intrigued me and certainly none before had blessed me with the greatest benefit, personal peace. Today, I am the owner of the Yoga Center in Frauenfeld, Switzerland, where I teach Yoga with my wife, Maja (also a dedicated Kriyaban). During the year 2010, I completed the rigorous requirements to become an Acharya and member of Babaji’s Kriya Yoga Order of Acharyas, with Babaji’s constant light and unconditional love to inspire and push me on when necessary. In May 2011, I was inducted into the Order and pledged to dedicate my life to sharing Babaji’s Yoga as widely as possible. Satchidananda once told me to think of the Acharyas as postmen delivering the mail for Babaji. That helps me better understand the evolution of my own life’s career. Jnanashakti (Josée Sylvestre) From my earliest years, I have been fascinated by the complexity of the human being, as well as by the mysteries of life and what lies beyond this world. Being a little too clairvoyant, sensitive and perceptive, I saw and painfully felt the faults of humanity. I was overjoyed when I read with profound interest the collection of books on the lives of the saints in the school library. From that time onwards, the quest for wisdom became the ultimate goal of my life. I was only seven years old. I set what I considered to be a reasonable amount of time to achieve this goal, by the age of 30 years. Oh! How far did I misjudge the requirements related to such aspirations. Having received a baccalaureat diploma from the university in Psychosociology of communication, I subsequently earned several other certifications in order to be equipped with some effective tools for helping and coaching others professionally, individually, spiritually, and at the organizational level. After being involved with many enterprises both in Quebec and internationally, having taught management, communication and even meditation to managers, I was blessed in 2006 to have come into contact with Babaji Nagaraj and to have learned the powerful techniques of his Kriya Yoga. Since then, the aspiration “to Be” with you, growing together towards Self Realization, has multiplied it fervor. Vidhyananda (Sherry Ryan) LMT, RYT is the founder of Providence Healing Arts, a Yoga Studio & alternative healing center in Providence, Rhode Island, USA. As a student of Hatha Yoga and Kundalini Yoga for 40 years, Vidhya is a certified 500 hour yoga instructor facilitating retreats and teacher trainings throughout the world. 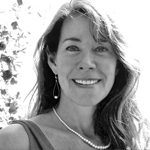 She has over 25 years of experience in the study of Ayurveda, Macrobiotics and Traditional Five Element Theory. Brahmananda was initiated in 2001 in Vienna into the tradition of Babaji's Kriya Yoga and in May 2013 into the Order of Acharyas. On account of Babajis graceful guidance Brahmananda's living conditions developed during this time slowly to a red thread, how a call of Dharma: during the same time his yogic development to be a Hatha Yoga Teacher, to participate at several Indian pilgrimages and being educated to an Acharya took part, the attachments freed themselves in job and career, past and other karmic obstacles. With the practical experience as a former company owner and dipl. engineer of shoe technology he meanwhile has reduced his conventional working quota to a minimum measure to dedicate his life and work to the teachings of Babaji and Yoga. Brahmananda lives in Attersee in Upper Austria and organizes there regularly Kriya Hatha Yoga classes, Workshops and Satsang. In the service of the Order of Acharyas he holds initiation seminars in the German-speaking area. Since childhood Michel had felt a deep desire to know God / Truth. He was first introduced to Yoga and mysticism at the age of eight by his mother. He had his first training in Classical Yoga at eighteen and began to teach regular classes at twenty. He continued his studies in Yoga and other paths to self-realization and natural therapies, such as Ayurveda. He was initiated into various methods of reiki, meditation and vibrational healing. He received initiation and personal guidance in Vajrayana Buddhism. However, it was when he learned of Babaji and Kriya Yoga that he knew he had found his true guru and path. He felt compelled to find a lineage and a realized teacher to guide him and his sadhana. In 2009, he received the first initiation in Brazil from acharya Sharanadevi and in the same year, met his teacher M.G. Satchidananda. In 2010, he was initiated by Satchidananda into the advanced kriyas. These practices of Kriya Yoga brought him a deep sense of peace and of returning home, as he began to understand that his dedicated practice was encouraging loving and conscious action in all his daily life. In 2012, he was invited to prepare to become an acharya and after two years of intensive training he was, in November 2014, inducted into Babaji’s Kriya Yoga Order of Acharyas. Maitreya teaches classes of Kriya Hatha Yoga at the university and therapeutic centers and offers private sessions with natural therapies, deepening students knowledge in undergraduate Applied Naturology. He teaches initiation seminars, leads satsanga, kirtan, gives lectures, workshops and makes mandalas. He is eternally grateful to the Kriya Yoga Tradition and the living Presence of Babaji in his life guiding and providing him a way to serve and fulfill his divine purpose. He is married to Lakshmi, Luana Marcanzoni Alves and lives in Palhoça, Santa Catarina, Brazil. Kriyanandamayi, a member of Babaji’s Kriya Yoga Order of Acharyas since 2015. She offers Kriya Yoga initiation seminars in Sri Lanka, India and Malaysia in English or Tamil. In her country Sri Lanka, she manages our two ashrams as the secretary of Babaji’s Kriya Yoga Order of Acharyas Trust, organizes initiation seminars and pilgrimage tours to Katirgama and other holy places, conducts Hatha Yoga classes, corporate and students stress management programs, acupuncture treatment, and performs sacred ceremonies at our ashrams. After being introduced into spirituality by her parents at a very young age, she soon explored various spiritual lineages and has practiced Hatha Yoga since 2001, and taught it regularly since 2002. Since her initiation into Babaji’s Kriya Yoga in 2006, she dedicated her life fully to intense Sadhana of Babaji’s Kriya Yoga and to serving the local Sangha and her parental family. It was in 1995 through a dream that I first became aware of Kriya Babaji in my life. The dream was both beautiful and specific and I was shown my strengths and weaknesses. At that time I began to experience periods of purification and releases from strong attachments. Three years later, I received the first and the second initiations from Satchidananda in Brazil. The Kriya techniques felt familiar, like coming home. At the end of the first initiation Satchidananda asked me if I would give classes of the 18 Kriya Hatha Yoga Asana. Ever since, I've been doing so, as a source of joy. Babaji's Kriya Yoga has given me access to my deepest nature and Babaji's energy has supported me during all the years I dedicated to guiding and attending to the three lives, which I had the honor to carry in my womb and watch grow. In 2010, I received from Satchidanda the third initiation and, in 2012, I attended the Kriya Hatha Yoga Teacher Training, in Canada, with Durga and Satchidananda. It was in 2014, while on a group pilgrimage in India that Satchidananda surprised me by inviting me to become an Acharya. The flow of Babaji's love in all aspects of my life brought me to accept. It seems that Babaji has influenced me in all the significant choices I have taken in my life. I know that becoming a member of the Acharya's Order is another significant beginning. I begin with the joy of a child in front of the immensity of life. I am deeply grateful to my professors Satchidanda and Durga for their love guidance and for being a constant source of inspiration; I thank my family and friends who have always motivated me. I hope and pray that I am able to live my life as an expression of service to Babaji and Babaji’s Kriya Yoga. If I had to summarize my entire life story in a short sentence, I would say that it made me a disciple of Babaji. I was born in São Paulo, Brazil, in 1951. And, since 1982, I am married with Marcia (acharya Annapurna Ma). This happy marriage gave me three children, Milena, Pedro and Marcela, and two grandchildren, Marina and João. I work professionally as a journalist, writer and teacher. For more than three decades, I am researching intensely different spiritual traditions. As well as its connections with philosophy, sciences and arts. My study and my experience convinced me that “All is One”. And, based on this monistic conception, I have written five books and a large number of articles, published in the media or in my personal blog. I became an atheist before the age of 14 and continued to be an atheist until 28. During this time, I had two remarkable spiritual experiences. The last one definitely dismounted my materialism and brought me back to the spiritual path. Before that, I came to know about the existence of Babaji, through the Autobiography of a Yogi, of Paramahansa Yogananda. Years later, I had the grace of experiencing his presence directly, in a session of 'Holotropic Breathwork', coordinated by my friend and psychologist Doucy Douek (acharya Saraswati Karuna Devi). In 1998, by the hands of Satchidananda, I was initiated in the Kriya Yoga. And, despite all the instabilities of the practice, the unshakable connection with Babaji maintained me on the way. My wife, which is much more intuitive and assertive than me, has helped me a lot to overcome the hesitations and move forward in the practical life and the spiritual path. Her love is a daily source of nutrition. Initiated in Paris in 2006 with M.G. Satchidananda, Vivekananda found in Kriya Yoga much more than he hoped. Seeking a complement to his practice then, he discovered a complete and harmonious way. Babaji's Kriya Yoga is gradually becoming his heart of practice. He had continued with the 2nd and 3rd initiations and had participated several times in each of them. Being already convinced of the liberating, unifying and transformative effect of Kriya Yoga for the individual and humanity, it is really during the 3rd initiation that the pieces of the puzzle are put in place and that he is struck by the genius of the method. In 2011, he attended teacher training in central Canada, in Saint-Etienne de Bolton. In 2017, he participates in a pilgrimage in southern India. (On June 30, 2018, at a ceremony following a yagna mantra, he joins the Babaji Kriya Yoga acharyas order and is authorized to transmit the first initiation. "It is an immense blessing and a great joy to share this teaching"). He is married to Isabelle, curator and restorer of sculptures and art objects. They have a daughter born in 2009. Isabelle has another daughter born in 1999. He was born in the Loire (42), near Saint-Etienne in 1980. Since 2005, he lives in Côte d'Or (21) near Dijon. He works as a yoga teacher and energetic practitioner. He also works as a night watchman in a cancer center. Jamie Bright (Krishna) was born in 1981, in New York City to parents who followed the yogic spiritual path lead by one of the many Indian gurus who arrived in the 1970’s in America. It is not surprising, growing up in a household imbedded with that knowledge and practice, that he learned to meditate at the age of nine. Throughout his youth and adult life, he has used the practices of yoga, pranayama, asana, and meditation for support and stability. Jamie is a trained musician who received a Degree in Music Production and Engineering at Berklee College of Music. After college, he traveled extensively through America and Europe, lead by his creativity and love of music, but found his peace in the shakti of the mountains of Vermont, USA. He decided to settle in Vermont amidst the beauty of the open-minded and spiritually conscious communities, he found there. Following their wedding, Jamie and his wife Adena , a yogini and Ayurvedic practitioner, honeymooned in India. There, their devotion to Yoga was deeply kindled. And, it was there, in the Mother country of Yoga that Jamie discovered the path of Kriya Yoga and Babaji. Jamie followed his June 2013 Initiation into Babaji’s Kriya Yoga at the Quebec Ashram by performing Karma Yoga, in silence for 30 days. A pledge to surrender his own ego’s desires to Thy Will, has led Jamie, now, Krishna on a path to love and serve all. He has been dedicated many years to self-study and transformation through devotion to Babaji and the Truth. He seeks to fulfill his dharma and share these teachings with others, who seek to evolve in mind, body and consciousness and for the benefit and upliftment of all life.